Join Ukrainian yoga master Andrey Lappa for a four-part intensive workshop on the Tantric meditation tradition of the Himalayan yogis. This fourth training presents Vajrasattva practice as a powerful method of transforming negative karma into positive karma. If you’re looking for an intensive workshop that transforms negative karma into positive karma, let your energy be freed by Tantric Meditation Vajrasattva. You’ll be led by Pranamaya master teacher Andrey Lappa on traditional practices of the Himalayan yogis that aim to uplift and inspire. Vajrasattva is incorporated in the Tantric Meditation Lecture 4, the final lecture in the series. Deity visualization and mantra meditation are the powerful transformative methods of the practice. In the lectures leading up to Vajrasattva, you’ll learn to techniques to transform consciousness through Raja Yoga, which leads you towards a state of Samadhi. You’ll also learn that Tantric meditation is an effective method of achieving Samadhi and enlightenment. Use the ancient technology of Vajrasattva to burn karma and purify your consciousness. If you would like a powerful lesson on transforming energy, order the Tantric Meditation Vajrasattva on its own, or get the complete Tantric Meditation series for the complete course! 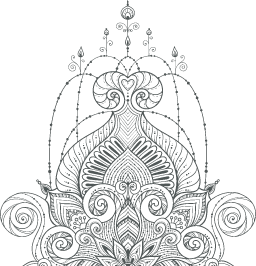 Tantric Meditation Practices is a four-part iexclusive intensive workshop introduces the purpose and methods of the Tantric Yoga traditions of the Himalayas, including both the Hindu and Tibetan Buddhist lineages. Training 1: Raja Yoga. 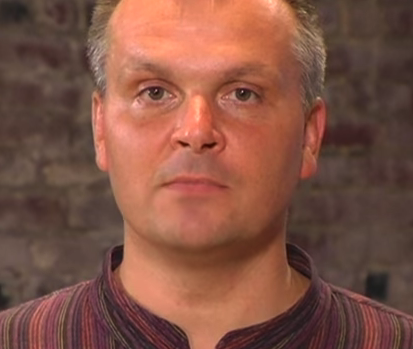 Andrey describes the stages of controlling consciousness through Raja Yoga that lead the practitioner to the state of Samadhi. The principles of Raja Yoga provide a foundation for understanding Tantric methods. Training 2: Vajrayogini. Tantric meditation is introduced as an especially effective method of achieving Samadhi and enlightenment. Andrey then presents Vajrayogini as one example of a powerful Tantric meditation practice. Through the visualizations and mantra meditation of Vajrayogini meditation, karma can be erased and one’s consciousness purified. Training 3: Tantric Symbolism. Andrey explains the symbolism and purpose of deity images in Hinduism and Tibetan Buddhism. Deity images in these traditions can seem unsettling and bizarre to the uninitiated observer. However, by decoding the esoteric meaning of the images, they can become understandable representations of the ego, consciousness and awakening. Training 4: Vajrasattva. The final lecture in the series presents the Tantric practice of Vajrasattva as a powerful means of transforming negative karma into positive karma. Deity visualization and mantra meditation are again the powerful transformative methods of this practice. Note: The Vajrasattva and Vajrayogini practices presented herein are simplified yet still powerful versions of these sacred practices. Initiation into the full depth of these practices requires a direct relationship with an authorized lineage holder of these traditions. It is Andrey’s hope that by experiencing the power and understanding the principles behind these practices, you will be inspired to seek out and study with a teacher directly. Universal Yoga is a unified scientific approach to achieving liberation of consciousness through a balanced application of physical, energetic and psychic practices. This system reflects Andrey Lappa’s experience with spiritual teachers of the Hindu and Tibetan Buddhist traditions of the Himalayas, his decades of personal practice and research, and his belief in complete freedom and creativity in practice. Andrey encourages students and teachers to use the tools of Universal Yoga to create unique practices well-suited to support their own personal development along the spiritual path. Andrey Lappa is one of the post-Soviet world’s most famous yoga teachers. He lived in Mongolia with his family when he was younger during the 1970s, which deepened his understanding of the lifestyle in the East. Alongside his travels, Andrey was an avid swimmer. He was so dedicated to sports that he received a Masters of Sports in the USSR in the late eighties.